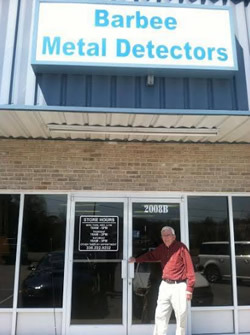 " Selling Fine Metal Detectors Since 1978 "
"Selling metal detectors has changed my whole outlook on life!" FREE SHIPPING on orders of $300.00 or more!! PLEASE E-MAIL OR PHONE US FOR PRICES! We stock a very large inventory of Treasure Hunting Accessories as well as Gold Pans!